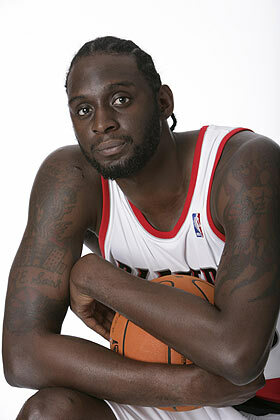 If the name Darius Miles did not bring fear to the Portland Trailblazers organization when seeing him on the court, it does now. Miles is causing a BIG stir in the NBA, affecting all NBA teams and getting the NBA Players Association involved. When Darius Miles was under contract with the Trailblazers he suffered what was thought to be a career ending knee injury. The injury caused him to have micro-fracture surgery in 2006 and he was released by the Blazers in April 2008 after not participating in any NBA games for two seasons. One of the big screen actors on The Perfect Score, with Scarlet Johansen, Miles started out this pre-season on the world champion Boston Celtics roster and was waived by the Celtics after playing in six pre-season games. He later signed with the Grizzlies and played in two regular season games when he was released before his contract became guaranteed. Last Friday was when all the chaos started. Miles officially became a free agent, having already participated in eight games this season. According to the NBA Collective Bargaining Agreement (CBA), Miles will be due $18 million by the Blazers if he plays in 10 total games this season. If he plays two more games with any team, the Blazers would owe him $18 million from their prior contract with Miles. This additional sum would put the Blazers over the cap this year and force the organization to pay a luxury tax (much like the MLB has in place), of around $8 million for this season. The Blazers were aware of this and even thought of picking up Miles again, just to sit him so he could not play the remaining two games on his contract (similar to Marbury’s ordeal in NY). The craziness officially began when Miles signed a ten-day contract with the Memphis Grizzlies. This short-term deal to see how Miles could do, scared the Trailblazers enough for team President Larry Miller to send out threatening emails to all 29 other NBA teams. In Miller’s email sent on Tuesday he threatened to sue any organization if a team attempted to sign Miles to “damage the franchise financially.” He threatened and challenged all 29 other NBA franchises in one email. NBAPA executive director Billy Hunter later expressed his disappointment in Portland’s threat on Miles and added that the players union will be filing a grievance against the organization as well. The NBAPA believes that the league should have no collusion and that a player should be able to participate in the NBA as long as he is physically able to. To make matters worse, the Grizzlies hosted the Cleveland Cavaliers and not only did Darius Miles play in the game, but he added 13 points in the Memphis loss. The only good news for the Portland Trailblazers is that the NBA will not file a grievance against the organization for the President’s threatening emails. With Miles looking good in his return it appears likely that he will play again in Memphis’s game this today. While the Grizzlies are hoping for a big game out of Miles, the Blazers are hoping he will wind up on waivers ASAP and not lacing up his Nikes. We will see in ten days if Miles get a contract extension, or if Memphis only intended to ruin Portland’s summer by busting their salary cap space and causing additional fines. Now that all emails and threats have been issued with no action, only time will resolve this situation. Want to be an NBA agent?